BHOREAL gets ready from MID New Media Design on Vimeo. 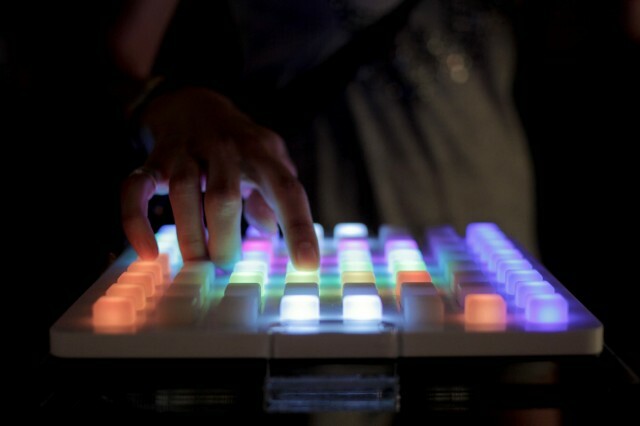 It’s been almost a decade since the monome first began making appearances. Now, grids are everywhere – and that raises the question, where will the next innovation come from? What’s exciting about Bhoreal is that, far from simply cloning the monome, it realizes potential frontiers that the original monome couldn’t. And as Bhoreal reaches the final hours of crowd funding, the last chance to be first in line for the first hardware, it’s performing a lot of tricks to show off. Think lasers and robots. See the video at top for a narrative of where the project has come. Now, you can grab Bhoreal in kit form (even with a fader), or a slim, premade unit – whichever suits you best – among other goodies. The project ends Friday evening European time / late Friday night Asia-Pacific-Australia / Friday morning for the Americas, so you may want to get in on this now. 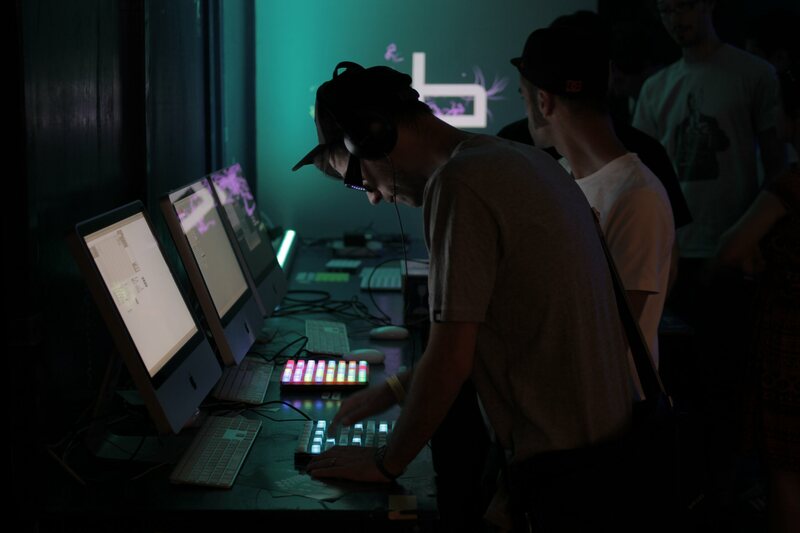 I caught up with the Bhoreal team as they demonstrated their creation to the public at Barcelona’s SONAR Festival. In fact, to me, it was really one of the greatest technological hits of the few days, as masses of people from the general public crowded in to pose with the giant, light-up robot and see what those pastel-bright square pads did. And this is the moment at which Bhoreal can go places other grid controllers couldn’t – a perfect realization of some of the vision of monome. For now, the pads are switches, like the monome – and unfortunately unlike the velocity-sensitive Push and other hardware. But you get full RGB and open, modifiable design. Not just for music: here, Bhoreal controls a robot. The combination was irresistible to SONAR attendees. Oh, yeah, and you can control lasers with it. It’s attracting more than just musical applications. The monome as originally unveiled was intended by creators Brian Crabtree and Kelli Cain to be a general grid controller. But its acceptance was largely in the music community, who were the first to understand its potential. That’s perfectly healthy. 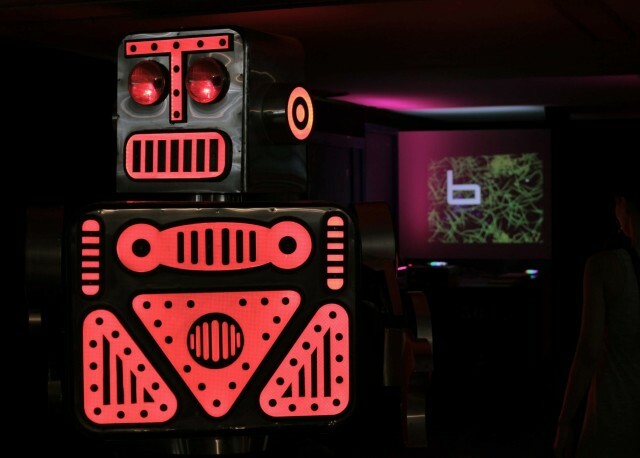 But it’s equally healthy now to see Bhoreal with a full range of applications, including controlling visuals, lighting (perfectly suited to its RGB display), that giant robot, and lasers, among others. Iterative design is already yielding smarter hardware. I got to try the latest prototype devices. Working with a network of fabrication experts, the team is already building something slimmer and smarter. There’s already a clever case with magnets, which should make repairs and hacks easier. (Once the magnets attach, though, it’s perfectly firm.) You can see my impromptu picture, though it’s not quite done yet. Eventually, you’ll get a wireless version with battery power for remote use – something other products haven’t yet done. Even the modest budget so far promises more work on these elements. CDM got to handle the new case designs in Barcelona. They’re coming along nicely – and using magnets in place of screws works brilliantly. Design and fabrication in Catalunya will make those hardware ideas work. “Onshoring” is a hot buzzword right now, but in crisis-stricken Europe, it’s real. One thing the monome did successfully was to promote local manufacture and sustainable materials. That project, though, had as part of its message small-scale production. I think there’s value there, but it would also be well-complemented by projects that scale up, while working to produce economies around DIY and open source hardware. In Catalunya, that has already meant a collaborative design team (with the Hangar Arts Production Centre Interaction Lab, and MID – Media Interactive Design). But the team tells me that they’re looking to move more production back to Europe (and specifically Catalunya), not just one-off prototypes. It’s open and builds on existing work. Open source hardware has come by great leaps since the 2006 introduction of monome. But what’s important about this is that it allows you to, as the saying goes, stand on the shoulders of giants rather than stepping on each other’s toes. So, Bhoreal’s hardware is built on Arduino, making programming (and advanced functionality) easier. In fact, I hope it will give back a standard MIDI implementation to that platform. And its firmware is open source, built on work by Jonathan Guberman for the Octint, in turn inspired by arduinome. 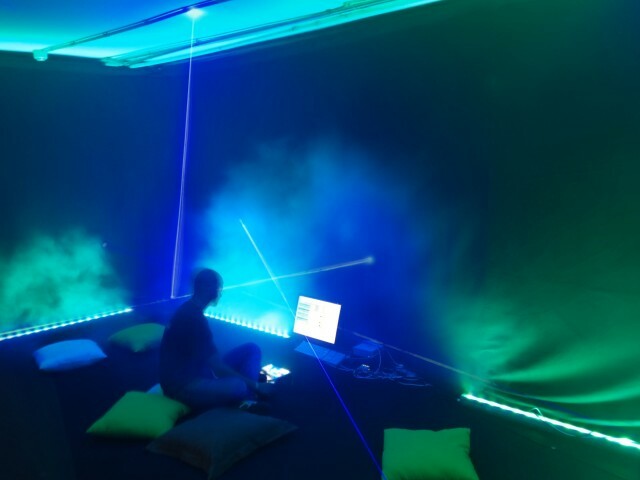 The setup for SONAR’s digital hands-on area. Photo courtesy Bhoreal. Up close with the pads. Yes, these are the pads from Sparkfun; future designs may use something original. Photo courtesy Bhoreal. monome compatible, but not a clone. 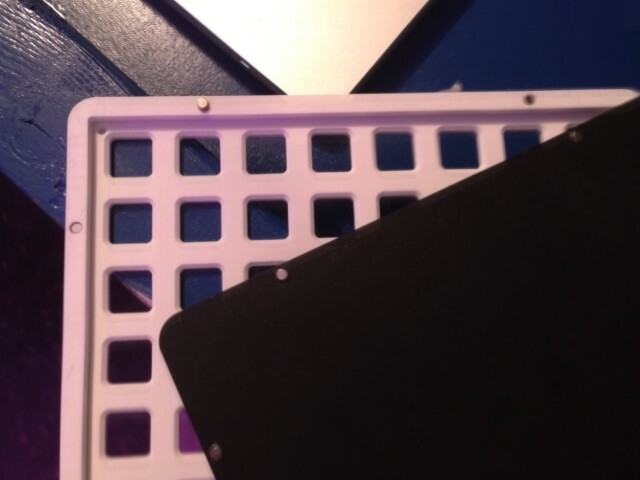 An early concern of the monome project, and a stated motivation behind non-commercial restrictions, was that large-volume commodity products would rip off the design. But it’s worth noting that Bhoreal is genuinely original. While inspired by arduinome, the circuit and industrial design is now entirely new. The firmware is open, and builds on freely-licensed work. At the same time, compatibility with monome (via the aforementioned alternative fimware) is a good thing, as it protects the work people have done in that community creating patch. 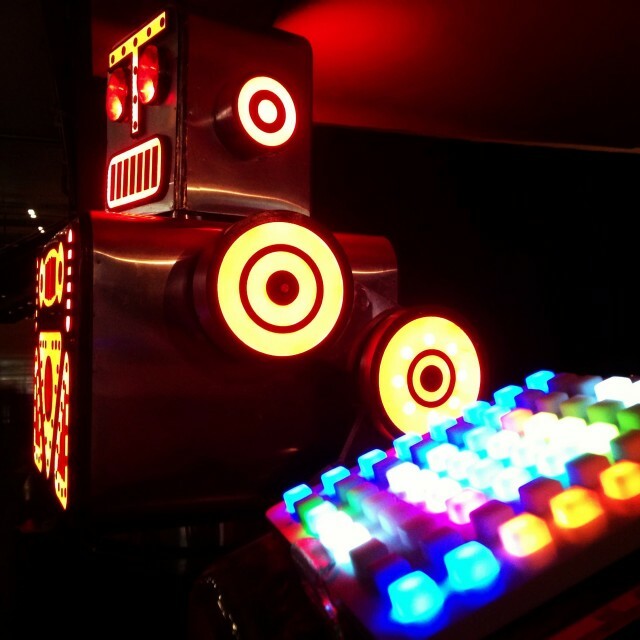 Robot, posing at SONAR. Photo courtesy Bhoreal.